Source EMS1 – Treating a sick or injured or child can be stressful for a paramedic. Having a paramedic use strange equipment to look at wounds or take vital signs can be frightening for a kid. 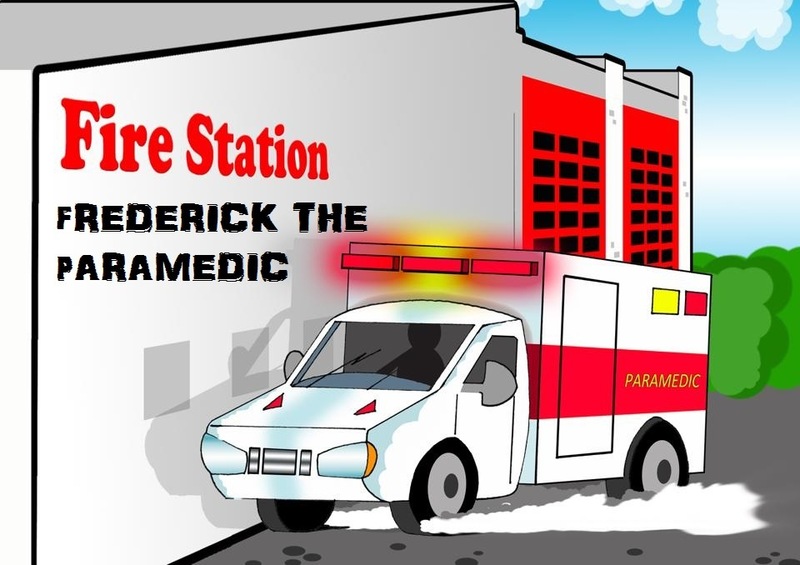 This is something paramedics Chris and Nicole Blongiewicz hope their book “Frederick the Paramedic” can help change. The picture book features a friendly paramedic named Frederick who treats Tommie, a 12-year-old skateboarder who forgets his safety gear and injures himself. The book uses a story kids can relate to, and puts them in the shoes of Frederick’s paramedic partner. As they explore the ambulance, transport Tommie to the hospital, give the medical report to the doctor, and even stick around for X-rays, the story aims to introduce children to the different equipment an EMS provider uses, and walk them through the process of assessing a patient so if they’re ever injured or having a medical emergency, the situation may seem a little less scary.